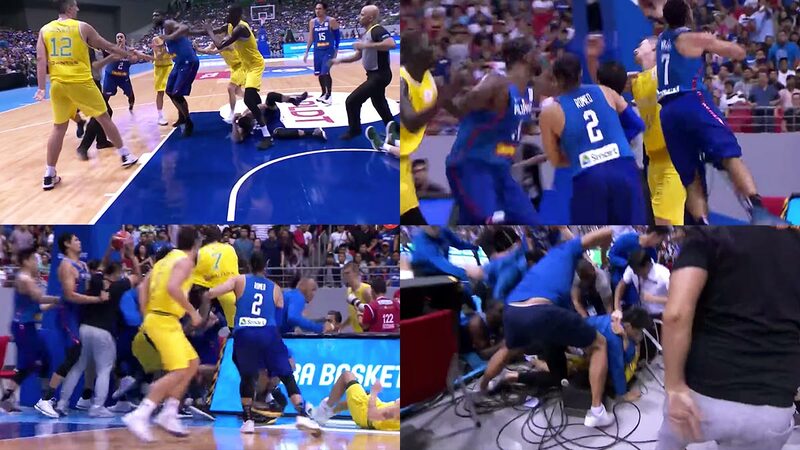 Regardless of who FIBA officially holds liable for the recent Royal Rumble between Gilas Pilipinas and the Australia Boomers, which resulted in a devastating 83-59 loss for our boys, the unfortunate incident shows just how seriously we take the sport of Basketball. From the collegiate to the international stage, Basketball undeniably stokes the fire within us that it’s no surprise why players and fans sometimes let their emotions get the best of them. Fights break out in Basketball games all the time with the majority being stopped right before things seriously escalate. However, there are those rare instances when the issues aren't as quickly addressed and all hell breaks loose. 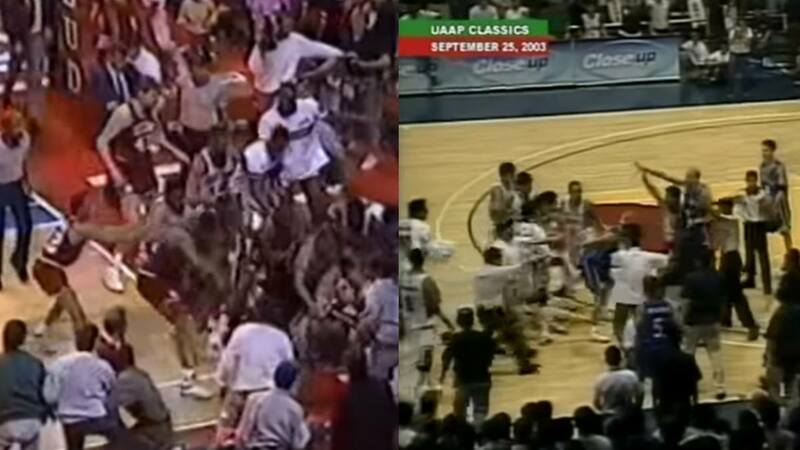 Although we, by no means, condone unnecessary violence, we couldn’t help compare the recent brawl to some of the legendary ones that have already become part of Basketball history. Although the scuffle technically started with Ben Wallace giving Artest a shove, it really escalated when a fan got into the mix and threw a paper cup to Ron Artest who, at that time, was trying to cool off on the announcers' table. Two of the most well respected and intellectual players of the sport shows their human side as they get into a skirmish with Doctor J throwing multiple Jabs straight to Larry's face. Detroit bad boy Bill Laimbeer lives up to his reputation by shoving Mahorn, who drew a foul after a lay-up attempt. Eager to defend his bullied teammate is Sir Charles, who shoves Laimbeer and triggers the brawl. The 1994 playoffs had the Knicks and the Bulls go at it right in front of then NBA Commissioner David Stern. Doc Rivers was called for an offensive foul against KJ and proceeds to go after him. Although both teams clear the bench, the scuffle is quickly pacified. Fast forward a few plays after and KJ blocks a dribbling Rivers causing him to lose possession and fall down. No call was made but as soon as Rivers gets up, he immediately goes after KJ. Rivals Ateneo and La Salle nearly got into a free for all as Jerwin Gaco scrambled for the ball against LA Tenorio. Things got a bit physical between the two and Rich Alvarez steps in to confront Gaco which caused the entire La Salle Bench to approach. Tapal King Philip Cesar gets clobbered driving to the basket, which resulted in an all-out brawl that included both teams and spilled over to the fans' section. James Yap slyly throws a low-kick to a turned Terrence Leather and immediately sprints away. He is chased by Leather and soon multiple players from both teams get in on the scuffle. Just to show that it's not just professional ball players that lose it during a game, actors Robin Padilla and Richard Gomez famously got into it during the '91 Star Olympics.